Engageny math is still being written; the district is downloading units as they’re posted to the web. The Engageny “modules” have not been field-tested. 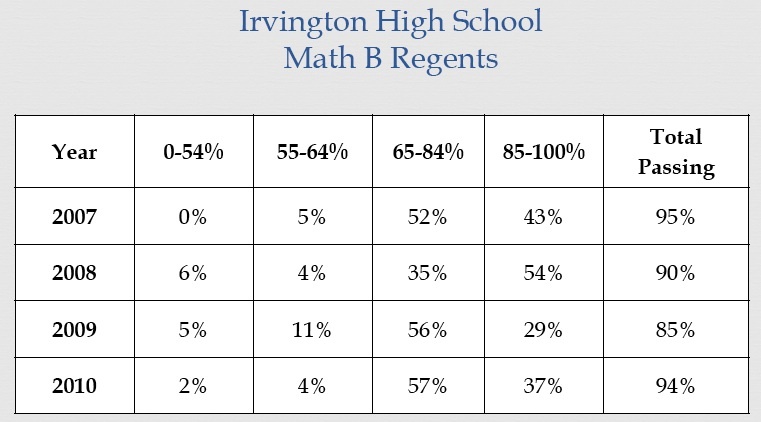 Irvington teachers and children are first adopters &, thus, are serving as test subjects. 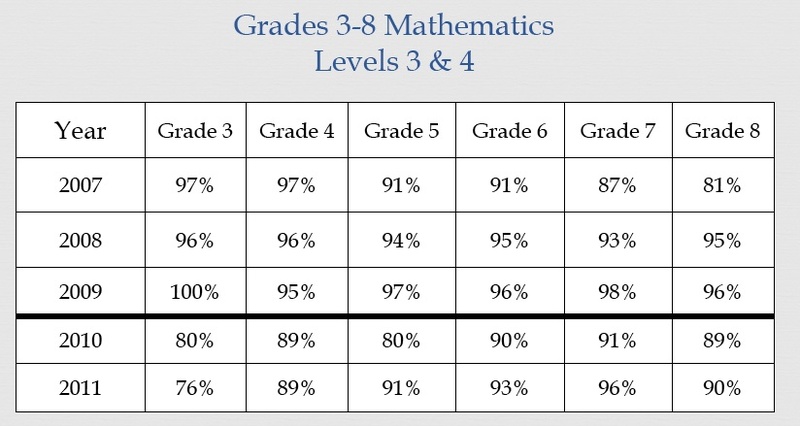 Kids in higher grades (3rd & 4th) have gaps in their math knowledge because engageny & Math Trailblazers don’t match, but no one in the school can identify the children’s gaps, and no one has a plan to remedy the gaps. The district has never had a “scope and sequence” of knowledge and skills students learn in each grade, so administrators don’t know what the kids know — and they have no simple means of comparing engageny math to the math that children have been learning here. It was clear last Thursday night that administrators can’t fix the problem. None of them is expert in math; they don’t know what a proper sequence of math instruction is. Nor should they: no one can know everything about every subject. Normally “pedagogical content knowledge” (what to teach & when & how) is “purchased” when we adopt the best math textbook series we can find. The solution, for now, is to drop engageny (or delay its adoption) and replace it either with the old Trailblazers books or with an ’emergency adoption’ of Saxon Math, the single most teacher-friendly math textbook on the market. (Here’s the homeschool edition.) UPDATE 11/9/2013: Or, better yet, we should do an emergency adoption of Singapore Math. Engageny math is, to some degree, modeled on Singapore Math, but Singapore Math has been field-tested and revised over many years’ time, and its Scope and Sequence can be understood by administrators, teachers, and parents alike. Any teacher (& any parent) can pick up a Saxon Math textbook and teach math today. I know this because I chose Saxon when I realized I needed to re-teach my son 4th grade math. I hadn’t taken a math course since college, and I successfully used Saxon immediately to teach my son and re-teach myself. An emergency adoption of Saxon would mean that this year serves as the pilot of Saxon; next fall the district could pilot Singapore Math (& perhaps engageny math, if we have good word on engageny from other districts). 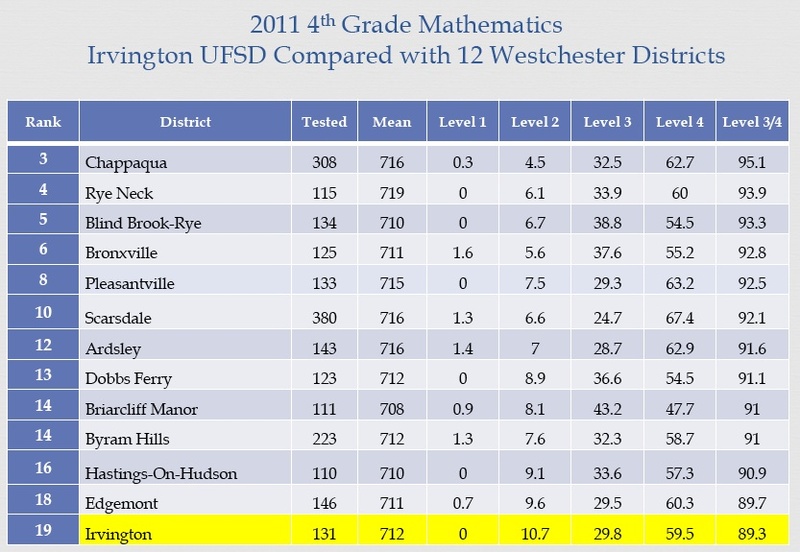 Other children, in other districts, should serve as test subjects for engageny math, not ours. For the time being, we can’t worry about the new Common Core tests. We have Trailblazers kids in a Common Core world; that’s the reality. (If we had Singapore Math kids — real Singapore Math, not Dobbs Ferry Singapore Math — in a Common Core world, things would be different. But we don’t.) The state requires kids to take the tests, and that’s fine: we should treat the results as information about gaps and proceed from there. We have $2.16 million dollars in the fund balance to use for ’emergencies’; this should be seen as an emergency. Once kids develop gaps in math, it is very difficult for them to catch up to peers who have had a coherent math education. Our family knows this from direct personal experience. Just back from the Common Core meeting at Main Street School tonight. One factoid that leapt out at me: the price of a new K-5 math textbook series, RK reported, is roughly $100K. That is the reason, she said, or a reason, we do not have math textbooks. Normally, at this point in the cycle,* we would be vetting published textbooks, piloting them in the classroom, and choosing the one that works best, but not now, not with Common Core. Today we’re using the free “math modules” being posted on engageny, downloading each module as it’s posted. The math modules are new, so new they are being written as we speak. They have never been taught by a teacher, or field-tested with a child. But they are free, and they carry the Common Core brand, so we are using them. The ancient tradition of textbook adoption and 10-year textbook adoption cycles is gone with the wind. So. $2.16 million in the fund balance and we’re downloading never-before-taught math modules from the internet because they’re aligned with Common Core and they’re free. Meanwhile Singapore and Saxon Math have been around for years, have been extensively field-tested, and have at least some reasonably sound data to show their effectiveness. And the Singapore series (Primary Mathematics) is universally endorsed by real mathematicians, as opposed to “math educators” (the term of art in ed-school precincts). Singapore Math may be the best math curriculum available in the English language. 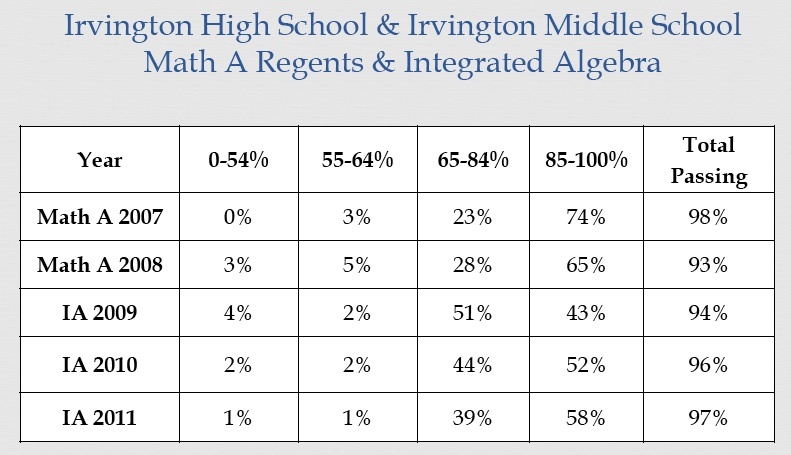 For $100K Irvington children could learn math from the best math curriculum in the English language, or, for $0 Irvington children can learn math from engageny math modules the district downloads from the web. We chose Door Number 2. If we did not have a Curriculum Director, would we have math textbooks? Would classroom teachers, acting on their own, choose to teach math without a textbook? I don’t believe they would. Teaching math from packets is as hard as learning math from packets, or can be. I know because I teach grammar and writing from packets. My students need a good textbook, and so do I. But education schools dislike textbooks, which they see as old-fashioned, sage-on-the-stage affairs, and curriculum directors are trained by education schools. Untested math modules on the internet are “21st century” (a compliment in the education world), just like the position of “Curriculum Director itself,” which, like the math modules, did not exist at all in days gone by. We’ve still got timed worksheets, which is more than most districts can say. And we’re going to continue to have timed worksheets: RK mentioned “fluency” several times. I wouldn’t be surprised to see the concept of fluency incorporated into other subjects: a very good idea. We desperately need to give kids fluency in reading and writing (something I’m working on myself in my own teaching). UPDATE: “Fluency” = “automaticity.” Both words describe actions — and “thoughts” — you can perform rapidly, accurately, and largely or entirely outside of conscious awareness. People who are fluent in a skill or area of content are fluent. This is why the requirement that children “explain” how they reached their answer in math is so wrong. Very often, a student who is really good at math just “gets it” without having to resort to effort-filled, conscious reasoning. When you force that student to “explain his reasoning,” you force him or her to “translate” his correct answer into words; you force him or her to function in the way a less talented student does. Contra RK’s assertion last night, in the real world, NOT having to “think” is the goal. We need to acquire sufficient knowledge, and sufficient “automaticity” in our knowledge, that we look at a problem and know. We should save thinking, which is tremendously effortful and rapidly drains mental resources, for advanced questions, and strive for fluency in everything else. Fluency is reached through knowledge stored in long-term memory. * UPDATE 10/26/2013: A friend reminds me that we do not have a 10-year textbook adoption cycle, as mentioned during the presentation. We have a 3-year curriculum cycle (or curriculum-review cycle). The 3-year cycle, as I recall, does not require that we change textbooks; we revisit textbook choices and review. 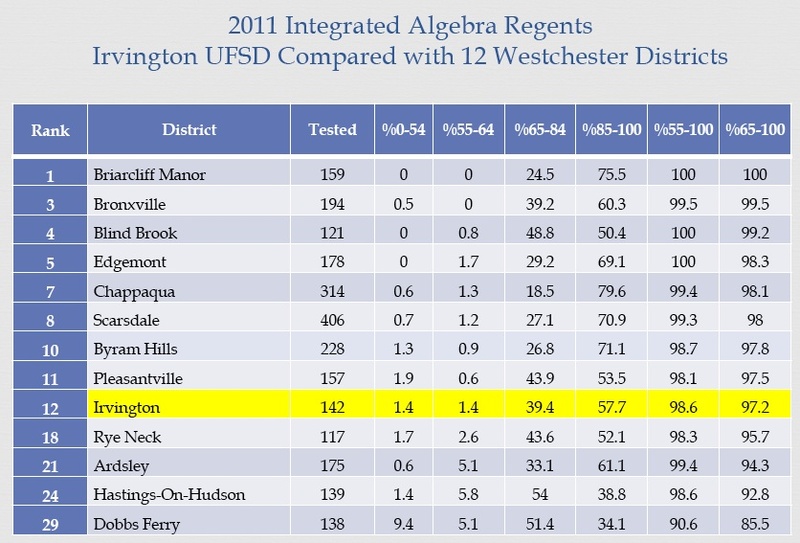 I say “substantially” because the math gap between Chappaqua and Irvington may not be statistically significant. Hard to say. This is wonderful news. Wonderful. I’ve read the sample questions for 8th grade, and I’ve had a child go through the middle school accelerated math track back when it was far more accelerated than it is now (at least, according to what I picked up at a BOE meeting a few years back). My impression: many if not most students taking algebra that year would have had difficulty passing this test. Of course we want everyone passing the test (or at least 90% of all students in the class) — and we can get there. Worksheets were the magic. All “tool” and “component” skills must be learned to a criterion of speed as well as accuracy, and timed worksheets make that happen very quickly. Mad Minutes are a student’s friend.